Barcalounger Montego Bay II Recliner Chair - Leather Recliner Chair Furniture - Lounge Chair. Recliners, Chairs, Sofas, Office Chairs and other Furniture. 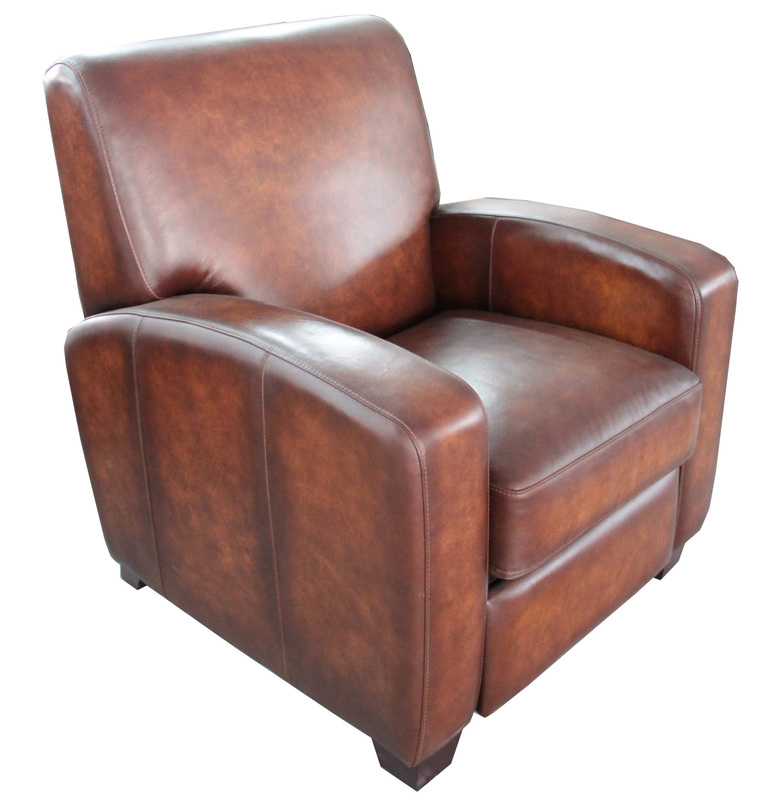 Barcalounger Montego Bay II Leather Push Back Recliner Lounger Chair - A paramount example of pure, clean design lines, this stationery-looking style gives you the bonus of incredible reclining comfort. The very popular track arm, boxed seat, and one-piece back, are all trimmed with decorative single-needle stitching. 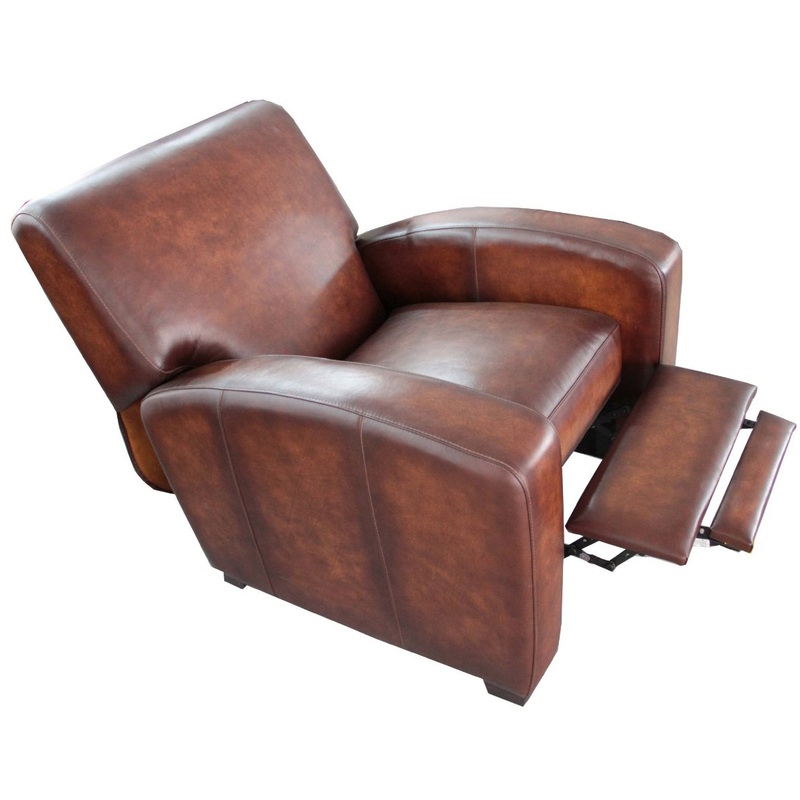 Ease into your favorite reclining position with a gentle push on the arms. Features: Recliner Leggett and Platt mechanisms are Activated not operated, Mechanisms bolted to framewith I bolts, 1.8 Resilency Foam, delrin bushings on all mechanisms padding on backs and sides of all chairs. Hardwood and Plywood Frames with Mortise and tension glued joints. 30 Superior individual pocketed coils in each seat cushion, fully enclosed in fabric, the foam is topped with blended down feathers. High resilence seat foam for superior durability and comfort. Approximate Seat Dimensions: H 20" x W 20" x D 21.5"
Chair Weight is 95 lbs - 110 lbs boxed.